The BC Lions announced the completion of their coaching staff Sunday afternoon, and the addition is a significant one. 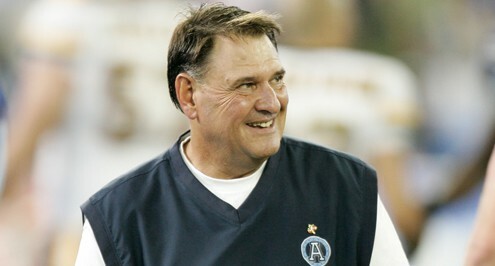 Rich Stubler, former defensive coordinator and head coach of the Toronto Argonauts will coach the Lions defensive line on 2010. “Rich brings a significant coaching resume to his position with us and I believe he will be a strong asset to our club,” said Lions GM and head coach Wally Buono. Stubler won a Grey Cup with Lions in 2000, when he was the club’s defensive coordinator. He has been noted for his creativity when it comes to defence, and he’ll bring a ton of experience to the defensive line that has led the CFL in sacks for the last two seasons. Under his direction the Argos defence were amongst the lead leaders during his time there between 2003 to 2007. Stubler takes over from Mike Roach, who decided not to return to the position. The defensive line coach position is a part time one with the Lions. Other considered for the job included former Lions Mike Gray and James ‘Quick’ Parker.